IF YOU RECEIVED A PRIVATE EMAIL to start your personal retainer account for our Annual Membership and PI Union License of $17.00 per month, directing you to this secured first payment page, then it means you need to make your first payment using this item page of $7.01 + $9.99 for a total of $17.00. The remaining eleven (11) payments due will be on the 3rd of each month (starting with the next 3rd day of the next month) which you requested and we approved through private email. MAKE A FIRST PAYMENT TODAY! Once you get to the payment screen, choose CHECKOUT (for Visa, MasterCard, etc) or choose PayPal (if you wish to use PayPal to make your payment). You will notice in your shopping cart there is a $9.99 Regular Handling or Mail fee that is added to the $7.01 item amount. The Regular Handling or Mail fee will be merged at the final Checkout into the $17.00 item amount to show you are making a full $17.00 down payment on your account. 1) Following the completion of this first payment order, you authorize eleven (11) additional scheduled payments to your Visa, or MasterCard for the amount of $17.00 each. 2) You acknowledge and agree this is not a credit account and is a retainer prepaid deposit account for delivery of IPIU services and items you wish to purchase. You acknowledge and agree that certain products and services shipped or fulfilled may be delayed until adequate prepaid payments have been posted to your retainer account as security. 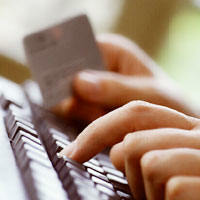 You also acknowledge you can escalate or increase any payment. 3) Following this first online payment you agree to provide the IPIU office with the full Visa or MasterCard information, including the card name, billing address and telephone number, 16 digit card number, expiration date, and CSV number, so as to enable the merchant (IPIU) to manually or automatically charge your card each month on the third (3rd) day in the amount of $17.00 for the remaining eleven (11) payments agreed upon. 4) You agree to additional terms provided by private email. 6) You agree to waive any additional receipts of your payments and to rely on your VISA or MasterCard statements for proof of payment. "I authorize IPIU to charge my VISA or MasterCard according to the terms outlined above and by agreed terms in private email. I understand this authorization will remain in effect until either my account terms are paid in full or I cancel it in writing. I agree to notify IPIU in writing of any changes in my account information or termination of this authorization at least 15 days prior to the next billing date. "If the agreed upon payment dates fall on a weekend or holiday, I understand the payments may be executed on the next business day. "This payment authorization is for the type of product and/or services indicated either above or ordered by private email. "I agree to receive the product and/or services and all benefits through the online IPIU website, www.ipiu.org/forums, by means of a special User Name, Password, and upgraded Access, or by mail if IPIU elects to ship any items or benefits. I further agree toI waive proof of delivery by regular means, such as postage mail, and that proof of delivery will be based on a copy of IPIU's email and/or internal record notifications to me of the upgraded online access to the product or services. "If any single payment is not approved by my Visa or MasterCard, and my account becomes late past 5 days, then I agree to pay an additional $17.00 penalty before my account is reinstated in good standing.